Have a fun journey with your child as you follow the adventures of lovable pandas Bo Bo and Cha Cha, or engage your creativity with The Amazing Sarong or the Karang Guni Boy or find new adventures with Asia's Lost Legends and Stories From Around the World. 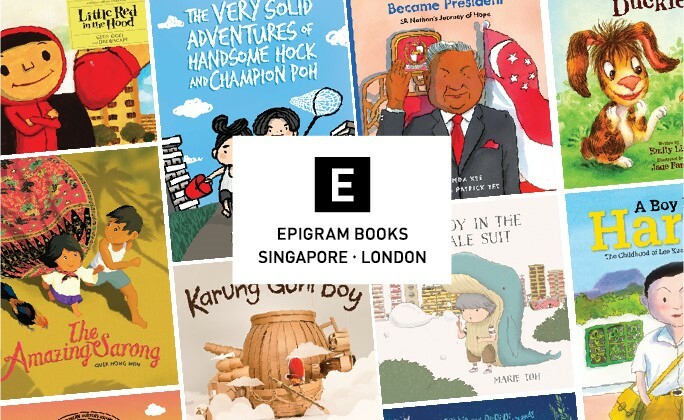 Epigram Books is a Singapore-based independent publisher of well-designed and thought-provoking titles. It began as a division of the multiple award-winning communications design firm Epigram, but registered as a separate entity in July 2011 to champion Singaporean literature. The company currently publishes between 50 and 60 titles a year, across all manner of fiction novels, short stories, plays, graphic novels, chapter books, picture books and some poetry.